Camolin Celtic AFC’s fundraiser will outdo all previous club fundraisers. As a club fundraiser, Camolin Celtic AFC will host an outdoor dance festival, which will include a range of well-known current and former Irish DJ’s. The event will take place on Saturday AND on Sunday of the June Bank Holiday weekend. The organisers behind the Camolin Fest are seeking the public to come up with a worthy name for the festival, with two VIP meet and greet tickets going to the creative winner. DJ’s for the event are yet to be decided, but if rumours are to be true, there are some well-known, high-profile acts set to take the stage to perform to the masses. This is really an innovative idea by Camolin Celtic AFC. 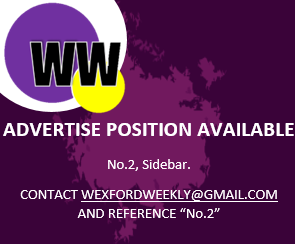 It’ll attract crowds from all over Ireland, especially from the South East; it’s sure to generate income to develop the club, but it’ll further provide a highly-desirable service for Wexford’s youth too. A win-win, some would like to say. If everything goes to plan, one couldn’t rule out Wexford’s first-ever outdoor dance festival becoming an annual event. Kudos to everyone involved.